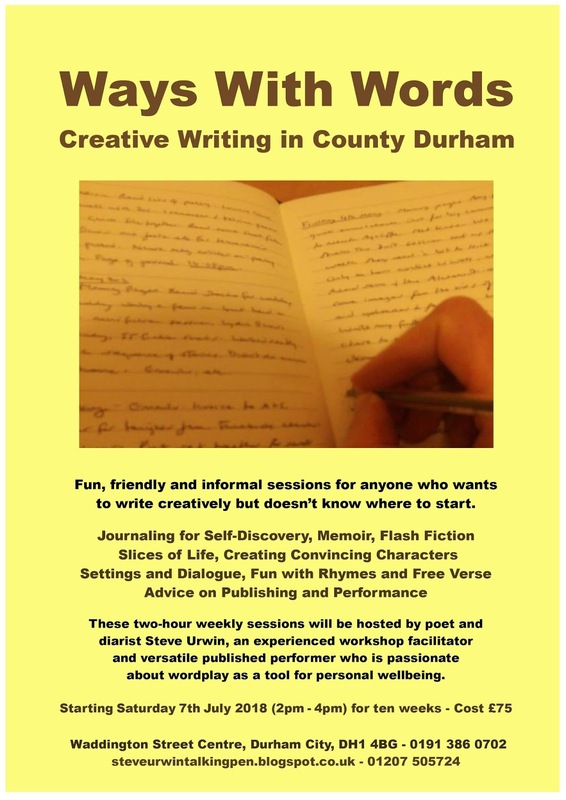 With over twenty-five years of experience as a published author and over fifteen years of regular writing workshop facilitation - incorporating poetry, journaling and flash fiction - Steve exudes energetic and infectious enthusiasm for the art of self-expression, instilling the belief that every individual voice is valid while bringing a sense of fun and inclusiveness to creative writing. He has a strong ability to engage groups and individuals with a wealth of advice on composition, performance and publication, drawing on an extensive range of exercises and techniques. 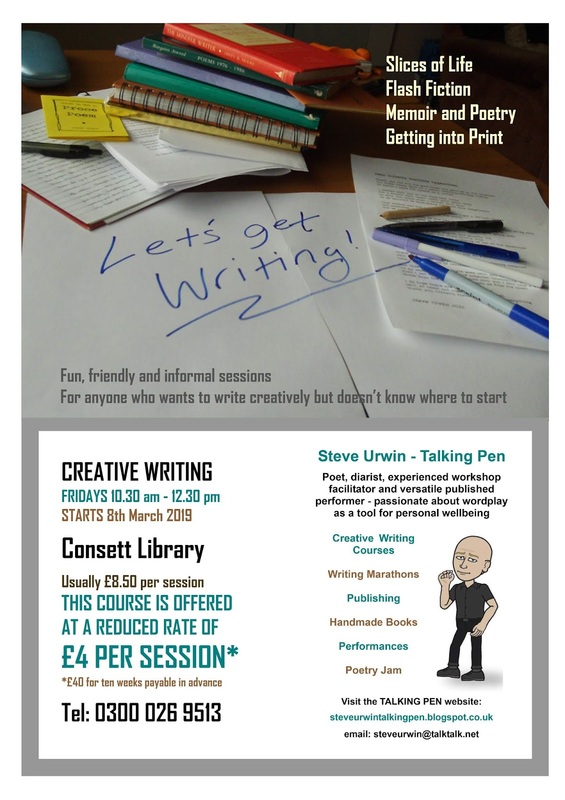 Although working predominantly in mental health settings, Steve also runs private courses for writing groups and college-funded evening classes. He has provided identity-themed performance poetry taster sessions in schools, worked as a shadow poet coach for a national youth poetry slam championship and regularly hosts writing marathons, attracting newcomers and seasoned authors alike, creating brand new work for page and stage. Students of Steve’s writing courses have published pamphlets of their work, appeared in regional anthologies and newspapers; performed in respected spoken word venues and at health seminars. Steve has mentored individuals with no previous creative writing experience towards participation in performance poetry library tours, poetry slam victory and a place in the BBC National Poetry Slam. It is often those who have been marginalised that have the most poignant stories to tell, but also need greater encouragement to make themselves heard. Steve can provide one-off workshops, or a series of sessions. Contact Steve to discuss a programme for your organization. JUST A SHORT THANK YOU for the work you did yesterday in organising, performing, mentoring etc. the whole Poetry Day 'trip'. I am sure that in the years to come it will be seen as one of those pivotal moments for many people, hopefully some of our service users, in their moving on process. Well done - 100% appreciated. NO MATTER HOW I AM FEELING, I gain inspiration every week from the informative and imaginative topics Steve uses to springboard the creative writing sessions. This term, we have participated in and enjoyed a wide variety of approaches. Created poems from song titles; considered issues of cause and effect in short stories and narrative; written part memoirs; learned how to take risks in writing, used art as inspiration; participated in ‘playful’ exercises with e.g. metaphor; learned how to write within constraints using various poetic devices; and used work from other authors and poets as inspiration – these are just a few examples. As a group we are putting together an anthology of our work. For me, writing ‘small stones’ has been useful as a way in… a way to strengthen focus, engage my imagination and hone my writing skills. As we work together on this joint project we have become more appreciative of each other’s work too. We are practising bringing it all together for an accomplished and polished piece of collaborative work. After completing an MA for Creative Writing several years ago, I have written little - but here my desire to write has been rekindled – and I am so very grateful. Steve teaches us to respect our writing and treat it as a craft with which to engage the reader – or audience. This year, Steve encouraged me to perform some of my poetry at Waddington Street’s Poetry Jam. The lead up to this was a bit scary but the support and encouragement I received from Steve and other group members was uplifting – and the feedback I received afterwards was great. Steve’s own experience and insights, combined with his wide appreciation and clear analysis of other authors’ work, brings much to the table. THANKS FOR JOINING US on Inspire day; your workshops were great and both staff and pupils have said how much they enjoyed your work. I was delighted with the poems which the pupils produced and will definitely make a display in school. I am sure that your workshops helped to change pupils' perceptions about poetry in a really positive way. I'm pleased that you enjoyed working with us in school and definitely hope that you will join us again, either on an Inspire day or in the English Dept. FROM THE MOMENT I WALKED into Steve Urwin’s writing group my mental health began to improve. I had struggled for years trying to find a solution to my problems without success. In the time that I have been attending the writing group my whole life has changed. Through Steve’s enthusiasm and passion for writing I have not only improved my mental health but rebuilt my life. Previously excluding myself entirely from society, I now have friends, a social life, I have produced a great deal of written work and through Steve’s encouragement now have the confidence to read regularly at spoken word events. This in turn has allowed me to return to other things which I thought I would never do again. Steve has been incredibly patient with me, he is receptive and supportive and has done everything he can to encourage me to write. THANK YOU SO MUCH for your contribution to Durham Christian Partnership's Mental Health Day on Saturday. The group, as usual, were amazing, and were very much appreciated. So many people have told me that they were quite profoundly moved and, more importantly, changed, by your poetry and the way you all presented it.